Mr Asrar the Sufi bareilwi delivered his talk on Friday the 3rd of February at bowyer road which was uploaded on you tube yesterday the 6th February 2012. What follows is a brief overview and analysis of this “evidence” based talk. We actually struggled to find any pertinent or relevant evidences, however we did find foul language, mocking of the deen of Allaah and side stepping the foundations of the deen ie the Book of Allaah and the Sunnah in attempting to prove such an innovation. “Before you try to extinguish the fire elsewhere take a look and see that the house that that’s burning isn’t in fact yours”. 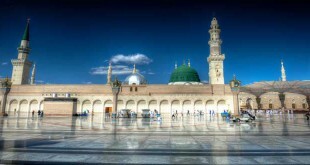 The issue concerning the Mawlid Un-Nabee has become like a hot potato in recent times and let there be a warning to all of Ahlul Bidah (they know who they are) who are attempting to promote this innovated celebration with the old arab proverb, that, “if you eat something too hot your tongue shall be burnt”. Najdee, wahaabee, ghayr muqallid, ghayr madhab amongst other abuse we can tolerate for the sake of Allah but Alhamdullilah the Ahlul Hadeeth, Atharees, Salafees, Ahlus Sunnah Wal-Jamaah are alive and they shall not tolerate any kind of Bidah or shirk in the blessed deen of Al-Islaam. For this, the salafee young, old, man and woman shall give the last drop of their blood to preserve this deen, InshaAllaah. What follows is a brief taster and post-mortem of recent talks that have been given by the milaadee opponents and a brief review of the same. We say to our Milaadee Barailwee opponents everything in your Madhab that did not exist as the deen in the time of the prophet seems to be a ‘Bidah Hasanah’. Is there any Bidah that you actually say is blameworthy? 1) “whoever innovates in our religion that is not from it, will have it rejected” (Bukhaari). 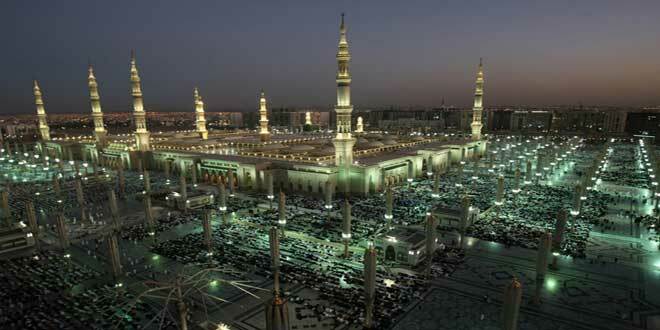 Was Milaad celebrated as “Eid Milaad un Nabee” by the Prophet as part of the deen? Surely Not. Has any scholar from the companions, tabieen and taba taabi’een said that the prophet celebrated his milaad? Surely not. Why not? Did they not know of this alleged tremendous act of worship? The Rightly Guided Khulafaas Era. Did any of the rightly guided caliphs from amongst the companions themselves celebrate Eid milaad? Surely not. Why not? Did they not know of this alleged tremendous act of worship and its benefits? The Four Imaams – Great Era. 3) It is ironic that for those who say that the salafees do not revere and respect the four imams then we ask them. O blind follower of Imaam Maalik, Shaafi’ee, Ahmad ibn Hanbal and Abu Haneefah please enlighten us and show us from them a single statement concerning the celebration of Eid milaad un-nabee? Please show us what hokum they attached to Eid Milaad un-nabee, mustahab? Waajib? Mandoob? In actual fact we give you a free reign, please show us where anyone of them called it a ‘bidah hasanah’? So that which did not exist as an act of worship and Eid celebration in the above eras as described above is being now promoted as an act of worship and something which will bring one closer to Allah. How can this be? How can we go over and above the blessed eras as described above? 4) Our Milaadee Barailwee opponents often say that Umar said that taraweeh in jamaat was a ‘good bidah” and therefore we can have good Bidahs in islaam. We reply, you only say taraweeh in jamaat is a good bidah because, as you allege, only because and due to the factthat Umar informed you of it in a hadeeth. Indeed we are to follow the prophet and his companions. Therefore, the rule as set out by our opponents is that, its a good Bidah because it has a basis in the religion and the companions inform us of it. Therefore, Please show us any text where any companion said ‘Eid Milaad un-Nabee is a good Bidah’? 5) when the Salafee mentions the above hadeeth the Milaadee opponent opines that the word “kullu” (every) does not mean every Bidah and that ‘good Bidahs in the deen’ are an exception to this. It’s very simple, we ask our opponents to produce a single hadeeth, even produce a weak hadeeth if you can where the prophet has made an exception by saying that every “bidah is a misguidance except for good bidahs”? 5) Recently, one Miladi Barelvi opponent gave a lecture in the st.Saviours mosque in Birmingham saying and quoting over and over again his Miladi imam Ahmad Raza Khan concerning the mawlid. He said that the najdis have got it wrong when they say that he died around the same time that the people today celebrate his milaad. 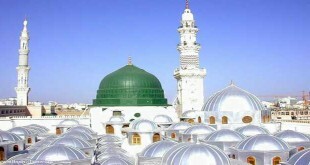 “ The prophets birth was on the 12th of Rabbi ul Awwal as was his death” (malfoozaat 2/220). So we request that before any abuse or blame is put at the door of the Salafi’s then as the arabs say, “before you try to extinguish the fire elsewhere take a look and see that the house that that’s burning isn’t in fact yours”.